Matcherna duggar tätt nu, redan under lördagen är det dags för Liverpool att spela ligamatch igen. Det är tidig ligamatch på bortaplan mot Bournemouth som står på schemat, ett lag som gjort en stark inledning av säsongen och skaffat sig en rejäl lucka ner till lagen i den bottenstrid där många tippade dem. Simon Reed(@ebtks) följer laget noga och har bland annat en kanal på youtube där man kan höra hans analyser. Idag delar han med sig av sina analyser till oss, god läsning! 1. Tell us about the first part of the season, are you satisfied with the teams performances and the amount of points you have gained? 2. 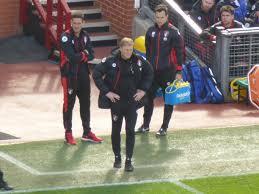 Eddie Howe has been at your club for a while now, how do you think he has developed as a coach since he got the job? I think he’s learning all the time. I think he’s made mistakes like any manager, but unlike many coaches he’s worked hard at rectifying the issues – rather than stubbornly press ahead with a single style. He’s making us into much more of a counter-attacking side that’s less reliant on possession for example. Take Tuesday’s clash with Huddersfield – the Terriers dominated possession but we managed to sneak a win thanks to a single incisive counter attack. We would have lost that game last season. 3. Callum Wilson has been impressive at the start of the season, how would you describe him as a player and how important would you say he is for your team? I genuinely thought Callum’s time with us might be over after his second ACL injury, but it’s a huge credit to him that he’s proved me wrong – emphatically so. He works so hard for the team running the channels, but almost always makes the right runs when going through on goal too. He’s also massively improved in terms of setting up his teammates – he’s starting to create excellent partnerships with both Josh King and Ryan Fraser across the pitch. Those partnerships are one of the main reasons we sit in seventh right now. 4. Are there any differences between Bournemouth this season and the past seasons in the Premier League? I think defensively we are better – Jefferson Lerma shielding the defence has helped with that a great deal – there are a couple of games already this season where we’ve managed to cling onto points we perhaps don’t deserve thanks to a stubborn rearguard action. As mentioned above I think we’re also developing into a much more incisive counter attacking side when we need to be. 5. 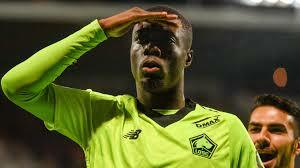 January is coming up, do you think your team will buy any new players? Are there any positions who needs strengthening? With the injury of Adam Smith at Newcastle we need some RB cover – as the ageing Simon Francis is targeted by every team we face because of his (understandable) lack of pace. We could also do with someone in central midfield if Lewis Cook continues to struggle there. 6. How do you think you will lineup against Liverpool and what kind of game do you expect?